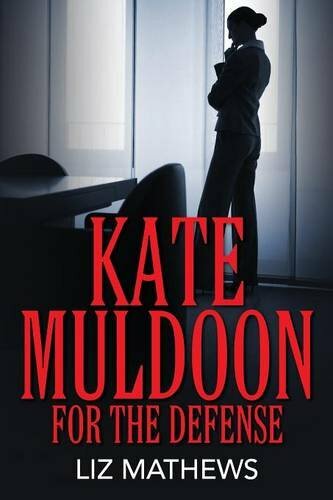 “Kate Muldoon: For the Defense” by Liz Mathews is about Kate Muldoon, a very successful lawyer whose clients include the rich and famous and numerous Hollywood stars. Kate is very driven, to the point that she has little or no social life and her marriage is in shambles. The associates at her law firm do not like her due to her ability to show them up and one associate loves to spread lies about her. In this story, Kate is representing three misguided individuals who believe the law doesn’t apply to them so they continue to act out. Once such individual is Phil Bentley, a 16-year-old who got involved with the wrong people. His once small-time drug use and selling has got him kidnapped and his life is on the line. He is sullen, spoiled, and quite arrogant. It is all Kate can do to keep him in line and alive. Another client, Julie Moon is dumber than dumb. She is a new star in the world and is deceptive in what she does to get the attention of producers. However, these acts cause her to be charged with possession of cocaine in a public restaurant. Kate’s on again off again marriage to her husband lands her in the arms of Bill Davis, a good friend and neighbor. However, Bill a widow, wants more than Kate is willing to give. She also has a one-night fling with her young intern, which she does not regret. The author captures the reader’s attention from the first page with her vivid description of characters and scenarios. She has the ability to get readers right into the action and they often will find they want to either hug or punch some of the characters. With her background in litigation, the author can fully describe the court scenarios and in house preferential treatment of some clients, judges, and lawyers. "Kate Muldoon: For the Defense" by Liz Mathews is a fast paced full of action book. It’s easy to read and become so totally engrossed you can’t put it down. This is the author’s first book and this reviewer looks forward to reading more from her.